A web browser is a software application which enables a user to display and interact with text, images, videos, music, games and other information typically located on a web page at a website on the World Wide Web or a local area network. Text and images on a web page can contain hyperlinks to other web pages at the same or different website. Web browsers allow a user to quickly and easily access information provided on many web pages at many web sites by traversing these links. The history of the web browser dates back to late 1980s, when a variety of technologies laid the foundation for the first web browser, WorldWideWeb, by Tim Berners-Lee in 1991. That browser brought together a variety of existing and new software and hardware technologies. The introduction of the NCSA Mosaic web browser in 1993 one of the first graphical web browsers led to an explosion in web use. Marc Andreessen, the leader of the Mosaic team at NCSA, soon started his own company, named Netscape, and released the Mosaic-influenced Netscape Navigator in 1994, which quickly became the world’s most popular browser, accounting for 90% of all web use at its peak Microsoft responded with its browser Internet Explorer in 1995 (also heavily influenced by Mosaic), initiating the industry’s first browser war. 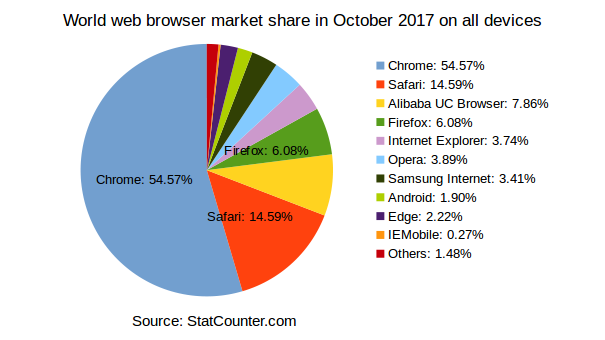 By bundling Internet Explorer with Windows, Microsoft was able to leverage its dominance in the operating system market to take over the web browser market; Internet Explorer usage share peaked at over 95% by 2002. In 1998, Netscape launched what was to become the Mozilla Foundation in an attempt to produce a competitive browser using the open source software model. That browser would eventually evolve into Firefox, which developed a respectable following while still in the beta stage of development; shortly after the release of Firefox 1.0 in late 2004, Firefox (all versions) accounted for 7.4% of browser use. As of February 2009, Firefox has a 21.77% usage share. Opera debuted in 1996; although it has never achieved widespread use, having less than 1% browser usage share as of February 2009,it has a substantial share of the fast-growing mobile phone web browser market, being preinstalled on over 40 million phones. It is also available on several other embedded systems, including Nintendo’s Wii video game console.Apple’s Safari had its first beta release in January 2003; as of February 2009, it has a dominant share of Apple-based web browsing, accounting for just over 8% of the entire browser market. The most recent major entrant to the browser market was Google’s Chrome, first released in September 2008. The purpose of a web browser is to display web pages to the user. This process begins when the user inputs a Uniform Resource Identifier (URI), for example http://en.wikipedia.org/, into the browser. The prefix of the URI determines how the URI will be interpreted. The most commonly used kind of URI starts with http: and identifies content to be retrieved over Hypertext Transfer Protocol (HTTP). Many browsers also support a variety of other prefixes, such as https: for HTTPS, ftp: for the File Transfer Protocol, and file: for local files. Prefixes that the web browser cannot directly handle are often handed off to another application entirely. For example, mailto: URIs are usually passed into the user’s default e-mail application, and news: URIs are passed to the user’s default newsgroup reader. In the case of http, https, file, and others, once the content has been retrieved the web browser sets about displaying it. HTML is handed off to the browser’s layout engine to be transformed from markup to an interactive document. Aside from HTML, web browsers can generally display any kind of content that can be part of a web page. Most browsers can display images, audio, video, and XML files, and often have plug-ins to support Flash files and Java applets. Upon encountering a file of an unsupported type or a file that is set up to be downloaded rather than displayed, the browser prompts the user to save the file to disk. Early web browsers supported only a very simple version of HTML. The rapid development of proprietary web browsers led to the development of non-standard dialects of HTML, leading to problems with web interoperability. Modern web browsers support a combination of standards-based and de facto HTML and XHTML, which should be rendered in the same way by all browsers. Many sites are designed using WYSIWYG HTML-generation programs such as Adobe Dreamweaver or Microsoft FrontPage. Microsoft FrontPage often generates non-standard HTML by default, hindering the work of the World Wide Web Consortium in promulgating standards, specifically with XHTML and Cascading Style Sheets (CSS), which are used for page layout. Dreamweaver and other more modern Microsoft HTML development tools such as Microsoft Expression Web and Microsoft Visual Studio conform to the W3C standards. Some browsers include additional components to support Usenet news, Internet Relay Chat (IRC), and e-mail. Protocols supported may include Network News Transfer Protocol (NNTP), Simple Mail Transfer Protocol (SMTP), Internet Message Access Protocol (IMAP), and Post Office Protocol (POP). 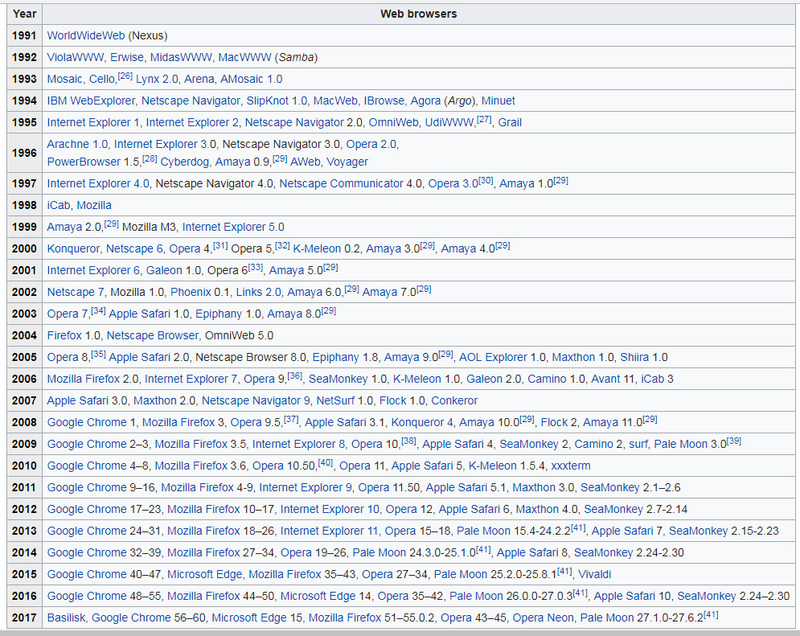 These browsers are often referred to as “Internet suites” rather than merely “web browsers”. FREE Web Borwser Browsers, Freeware, freewares, Download Internet Explorer 6, IE 7, IE 8, Netscape 7, download Neoplanet, Netcaptor, crazy browser, opera 9 browser, MSN browser, for free download and Free Browser Plugins like IE Plus, E-Notes Browser Enhancement Tools.